It’s well-known that social media is a great tool for almost any brand to market themselves. But the truth is that solely sharing a few images and interacting with a few people just won’t cut it. At least if you’re striving to achieve all the results you’re seeing other brands are generating. It might have worked many years ago when social media was something new and undiscovered for most brands, but today, the landscape has gotten so saturated and competitive that you need new ways to get seen. To reach success, you need to use social media with a unique approach that lets you stand out from all the noise. Luckily for you, that’s exactly what social media campaigns are all about. In this article, we’re listing 13 social media campaigns you can use that will boost your exposure on social media, increase your sales, and improve your results. Coupon codes have shown to be extremely effective for brands. And the best part is that it doesn’t matter where you distribute them. On social media, you have a whole audience to reach, so not using them in your social media marketing would be letting an opportunity go to waste. 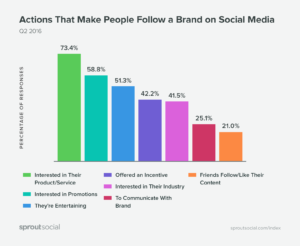 People are following you on social media for several reasons, but one major one is because they are interested in promotions. More exactly, 58.8% of people do. 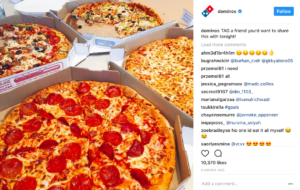 Sharing coupon codes as a social media campaign is something that all smart companies do, and that’s because they work! And they work because clearly, people want them! Coupons are usually discounts in the form of a special code that is distributed in the form of a code, and these can come in a variety of different forms. An easy way to share coupons with your followers is to simply hand them out to everyone who sees your post. Because this is so easy to do, it is a method that is widely used by many brands across social media. When you share coupons in a post, you want to make sure the deal is attention-grabbing and instantly seen. The great thing with coupons is that people often pay attention to wherever they can get the feeling like they’re saving, or even making money, because that’s how humans work. 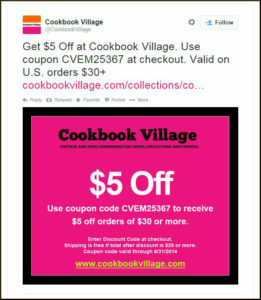 Cookbook village uses an attention-grabbing, bright colour in their social media post, and puts the most important part (the deal) in the middle of the image so that people can instantly see it, start reading the rest of the post, and ultimately click on the link to purchase. The great thing about coupons is that they encourage people to buy. Someone might have looked at your product and considered buying it, but for some reason didn’t. Maybe they thought your product was to expensive, or maybe they simply forgot about you, but then, your coupon appears, working as a tipping point to finally getting them to convert. Another way you can share your coupons is with the help of your bio. When someone comes across your profile, one of the first thing they see is your bio, so having your coupon strategically placed there will ensure that few people miss out on your great offer. Of course, when you have your coupon in your bio, sharing posts about the deal is also a great way to make sure people see it, get aware of it, go to your bio, get reminded about the coupon and then click on the link that takes them to the deal. I won’t go too much into detail about this point because it can be implemented in several of the other points, but if you have a coupon that is so good that people are willing perform actions in order to get it, you can encourage certain activities by rewarding them with a coupon once they’ve performed the task you asked them to do. User-generated content is a form of content on social media that has shown to be extremely effective for brands to use. First off, UGC gives you completely free content that you can use, instead of having to create your own. And for a brand, creating your own content for social media can be both expensive and difficult. The best part is that UGC has a lot more convincing power than your own professionally created content. Because the user-generated content is proof that people are actually buying your products, using them, and love them. Even if UGC generally holds a lower quality than your professionally created content, they still hold tremendous convincing power. In fact, 93% of consumers find UGC to be helpful when making a purchasing decision. But that’s not all. 71% of consumers also feel more comfortable buying a product after seeing other customers’ experience with your brand and products. If you aren’t yet implementing UGC in your social content strategy, now is the time. It means that asking your audience to share content of them using your product is good, but what’s even better is when you tell them exactly what content you want to see. It also means that there’s a great interest from the customers’ side in sharing content around your brand, but lack of ideas, or not knowing how they should share their experience might prevent them from doing so. 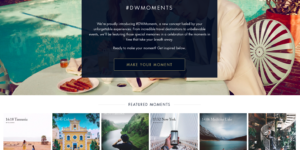 Watch brand Daniel Wellington has created a particular social media campaign dedicated to UGC called #DWPICKOFTHEDAY. In this campaign, Daniel Wellington shares a photo from their users once every day. The brand has clearly succeeded in encouraging their customers to share content, because their hashtag has been able to accumulate over 42 thousand posts! That’s a ton of exposure. It’s also a ton of highly valuable content that the brand can use. Clearly, they don’t have a hard time getting their customers to share their experience on social media. If you’re having a hard time getting your customers to share UGC, sometimes an extra push is all it takes. Here, coupons come in very handy. Rewarding all the people who share UGC, even if you don’t use their post on your own social channel is a simple way to get more people in on the fun. Another method that DW uses to encourage shares is to showcase the posts on their website. In fact, DW has created a page on their website solely dedicated to UGC to increase their credibility, called DWMoments. Last but not least, if you have a large following on social media, people will feel honoured to have their work featured on your page, and therefore regularly share content in the hopes of getting features. 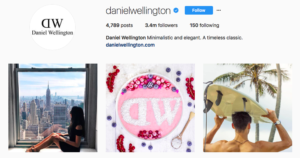 Daniel Wellington aren’t lacking followers on their Instagram page either, having a whopping 3.4 million followers on their Instagram page. Want to know the best part about UGC? UGC is not only effective to convince your own followers. When someone shares content dedicated to your brand, they share the post to their peers, and you get exposure that comes with a ton of trust. That’s because 92% of people trust peer recommendations. When people see the UGC content DW is sharing, they can also quickly understand what type of content they are looking for, and share posts that fall into that frame to increase their chances. 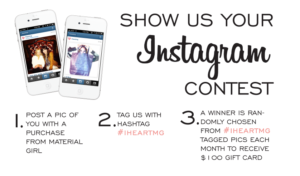 Social photo contests can be a great way to get your audience engage with your social media accounts. Photo contests are quite similar to encouraging your audience to share UGC, but there are a few key differences. Really, a social photo contest is a form of UGC. First of all, photo contests usually have a duration time that is far shorter than UGC. In fact, UGC content normally don’t have a time frame and can (and should) be posted all year around. Here, photo contests differentiate themselves a bit, because these have a clear beginning and ending. Secondly, photo contests also normally have some sort of price. In other words, a photo contest works just like any other contest or giveaway, only that you need to share a photo to enter. The rules of this campaigns are also, just like regular social contests, much clearer with what you need to do to enter. Normally, this involves tagging your brand in the post or including a particular hashtag so you can easily find the entries. Social contests results in a ton of exposure for your brand, because every time someone enters, they are sharing the photo with their social media followers, leading to a ton of exposure. And as mentioned in the point above, this is the most sought-after form of exposure for brands because it is peer-to-peer exposure that holds both trust and credibility. More correctly, it is a photo contest done on Instagram. When the contest was announced, this post was shared, showing step-by-step on how you enter, and what you get if you win. In this case, the winner gets a $100 gift card. Here, the winner is randomly selected, but you can also select a winner based on the best contribution. Tag a friend posts never get old, and they are widely used across social media. The chances are that you’ve seen a bunch of them during your days on social media. The idea behind “Tag a friend” posts is simple. Ask your followers to tag a friend in your post, and get your post seen by more people. When someone tags their friend, this friend might tag another friend, which leads to them tagging a bunch of other friends. In other words, your post can get quite some traction from it. The encouragement is normally done in the caption in your post, and the most common form is a simple “Tag a friend”. 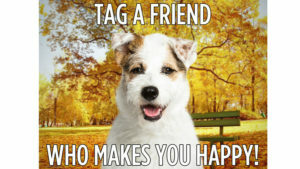 To be a little more unique, and to get more people to tag their friends, you can write something more substantial that give people a reason, such as “Tag your friend to tell them you love them”. Of course, this should only be done if your post relates to the reason you ask people to tag someone. A customised hashtag is a personalised hashtag that you create to empower a certain message or to get your audience more engaged. The great thing about customised hashtags is that it builds a community around your brand and gets your audience to spread your message and join you on your mission. Customized hashtags is an art in itself, so bringing up every single aspect of customised hashtags is an own article in itself, that you can read here. To get started, though, you only need the basics. Create a hashtag that isn’t widely used. Before you decide on a hashtag, take a look at how many posts have been shared with that hashtag. Preferably, it should be below one hundred posts, but you’ll do fine with a few hundred as well. This ensured that only posts that are actually related to your brand is to be found there and aren’t mixed with posts from random users. The hashtag you create is also highly important. It should be short, snappy, and easy to remember. You don’t want to use a long hashtag with a bunch of numbers in it that is hard for people to remember and easy to misspell. You also want to have a hashtag that is actually relevant to your brand or your mission. Avoid creating just a random hashtag and calling it personal. 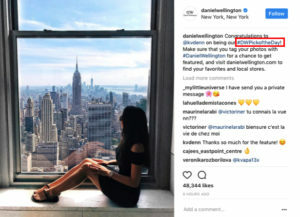 As you saw above, Daniel Wellington used DWMoments, and the purpose of the hashtag is clearly spelled out in the hashtag itself. A personalised hashtag could be as simple as your own brand name, but preferably, you should have something a bit more original. A personalised hashtag can be used for a conversation around a particular subject. One aspect of that is for people to share UGC, but there’s can be much more to it than that (if you’d like to). Your hashtag creates a sense of community among your customers, and it also makes it easier for them to interact with your brand and other customers of yours. Ahh, the good old giveaway. This is the most common type of social media campaign together with coupons. Giveaways have existed since the age of dawn in millions of different forms, and social media is a great place to run one. The reason why giveaways are so popular among brands on social media is because they work! 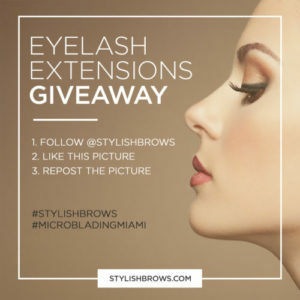 Here’s a great giveaway by @StylishBrows with an appealing visual, promoting it. There are tons of different ways you can set up your contests, and this depends on your brand, your goals, and your audience. A common social media customer form is UGC encouragement. Instead of giving out coupons to everyone who shares UGC, or simply not giving them anything, giveaways can be a way to encourage a lot of people to join in. Especially if your price is good. There are a few basics of running a successful contest, and these are important to a acknowledge. Just like the photo contest example, you want to make sure that the rules of entry are clear, the duration of your contest easily recognisable, and that the price is equally so. The general rule us that the better the price is, the more contestants you’ll have. The bigger the reward, the more people are willing to put in the effort. The best way to share these things is to create a beautiful visual that has the word “Giveaway” in large text, and the rules listed and explained. When people are joining a contest, they are eagerly waiting for the results on the day you said that the contest was going to end. Therefore, simply sending a private message to the winner simply won’t cut it. You need to publicly announce the winner, thank everyone who joined, and prevent them for getting angry or sad that they didn’t win by letting them know that more contests are coming in the future (if they actually are), and that they should continue to follow you to know when the next giveaway happens. There is an endless amount of rules of entry you can have, and again, this depends on your goal with the contest. There’s a common mix-up between contest and giveaway, and it’s important that you know the difference. A contest is when people have to compete in one way or another to win. This means that the best contribution wins. For giveaways, however, the winners should be completely randomly selected and not decided based on performance. The same rules of entry can be applied to giveaways as on contests, but it’s important that you know that these shouldn’t be ranked on performance. The most common form of giveaways is “Tag a friend giveaways”. We just talked about how asking people to tag a friend posts is great for getting more exposure and reach, but what I didn’t tell you is that you’ll be able to generate much more comments with tags if you run a giveaway where those who tag a friend has the chance to win. Tag a friend giveaways are the most common type of social media giveaway simply because they’re so easy to set up, yet generates great results for your brand. The best part about these contests is that most of the people who get tagged in this type of posts in turn tag their friends. In other words, due to the simplicity to join, most people who comes across your contest will join, and then, the entries will spread like wildfire. I’ve seen many smaller brands run giveaways to grow their page and presence, and I don’t blame them! Giveaways are awesome, and they can generate even more awesome results. But unfortunately, when starting out, and when you still don’t have a large audience, getting traction with your giveaway is tough. Here’s where collaboration giveaways come in. The idea with collaboration giveaways is to piggyback off of already established social media individuals with large audiences to get traction for your giveaway. These individuals have already built an audience that are eager to join in on any fun giveaways that comes around. All they need is to know about them. Normally, a giveaway partnership is done with social media influencers, individuals with a large audience and that are go-to sources in their respective niche. Depending on how large the influencer you partner with is, you might have to pay the influencer to market your giveaway. However, pitching an idea to run a giveaway with them isn’t normally very difficult because when they announce a giveaway, they come off as generous and caring for their audience, while not having to pay a single dollar for the prize that is handed out to the winner. That’s on you as a brand. 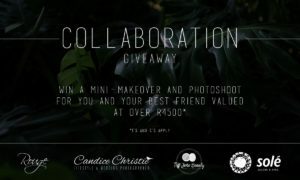 When running a collaboration giveaway, you want to make sure that you partner with influencers who are in the same niche was you, because these will be most likely to want to win your product, and are therefore most likely to enter your contest. Finding influencers used to be difficult, but with Veloce influencer directory, you can filter and search for influencers in a matter of seconds, and find the ones that are most suitable to your brand and needs. Flash sales are sales that only last for a short period of time. Normally, they last for 24 hours, but they can be even shorter than that. The idea behind flash sales is to create an urgency for people to shop. Urgency is one of the most powerful aspects of human psychology. According to behavioral psychologists, urgent situations cause us to suspend deliberate thought and to act quickly. 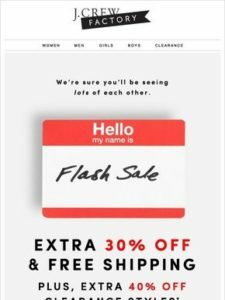 Humans are wired in the way that they don’t want to miss out on any great opportunities, and that’s also the reason why flash sales work extremely well. Obviously, running a flash sale and then using the campaigns mentioned above, such as UGC to get more people to share content won’t be very successful. It’s simply too short of time. Therefore, the best is if your sale is open for everyone and all people need to do is visit your store. What social media will do is just to spread the message about it. Over the last couple of years, live video has become a big deal. Instagram, Facebook, and Twitter are just some examples of social platforms that have incorporated live video and made it available for its users. What is live chats and how can you use it? Well, half of the truth has already been explained, but what live chats essentially are is you broadcasting a live chat using any of the social platforms that offers it, and chat with your audience. As a brand, building trust with your audience is vital, because if your audience don’t trust you, they won’t buy from you either. When you arrange live chats, you let your audience ask you questions and chat with you in real-time, leading to a much more personal conversation. live chats also allows you to give a fact you our brand which furthers helps in building a better relationship with your audience. Live chats help make your audience more engaged in your brand, and when they have built a close relationship to you as a personality rather than with your fancy logo and brand name, they’ll continue to engage with you because they know who is hiding behind, even if they don’t see you. Social influencer marketing has grown immensely over the years, and considering the results it’s able to generate, it doesn’t exactly leave us wondering why. Influencer marketing is the use of influential, trusted individuals to spread your brand message. And when I mentioned the fact that 92% of people trusting their peers, it also applied even if they don’t know them. This is trust that you as a brand never will be able to obtain. Social influencer marketing is exactly that, only that it is taking place on social media. If you want to learn more about influencer marketing statistics, I highly recommend that you read 55 Powerful Influencer Marketing Statistics and Facts You Need to Know. Back in the days, influencers were first and foremost celebrities. Why? Simply because these had the most influence over people. With social media, however, a completely new landscape has evolved. With social media, completely unknown people have been able to build their authority and presence, and as a result been able to impact their decisions and opinions. In fact, influencers have shown to be more trustworthy than celebrities and the reason to that is because influencers hold on to their values and normally says no to brand deals if they feel like they aren’t aligning with their values. As a brand, this is what you can benefit from. By partnering with individuals who are trusted in your industry, you can reach your target audience in a much more effective way, and actually get your message listened to. While also gaining a bit of the trust that the influencer holds. Finding influencers who aligns with your brand and niche is vital for influencer success. You can’t partner with any influencer and hope to achieve the results you are seeing in statistics. To reach your full potential and get the most out of the campaign, you need to partner with influencers who truly matter for your brand. There are several ways you can go about finding influencers. Either, you can do it manually by searching hashtags and social media profiles, or you can do it using an influencer search engine or database. Of course, doing it manually is both effort-and time-consuming so using an influencer directory like Veloce is to prefer. We’ve talked about live chats, but something that is also very effective for building your customer relationships and to reduce the gap between brand and audience is to regularly broadcast live streams on social media. Live streaming don’t have to end at live chats with your audience, because there is a million other ways you can use the live streaming feature that is available on many of the most popular social platforms today. But the truth is that there are many more benefits and reasons to why you should use live video. 1. It helps build your audience. The most common way for brands to attract an audience is to share amazing content. However, what most people aren’t thinking about is that live video offers another way to reach your audience and to attract new people to your brand on social. If you make your live video sessions captivating and interesting, you can get people to market your brand using word of mouth marketing, telling their peers how awesome you are. Recording a live video is completely free. All it takes is to have a phone at hand. Live streaming things like events your brand organise is a powerful way to share behind-the-scenes insights that both increases brand-awareness and increases people’s interest in your brand. Believe it or not, but with live video, you can actually save money. One way is to live stream your product launches. It might sound strange, but let me explain. In 2010, Ford Motors did something that was very “controversial” at the time, or at least made many people wrinkle their forehead. Instead of putting tons of resources on media teams to record the launch of their new model Explorer, they decided to live stream the launch on social media. Scott Monty, Ford’s Multimedia Communications Manager, said that launching the Explorer through Facebook was the most effective way to get the word out about the new model, and the numbers back it up. Their Facebook page passed their goal, increasing its fan numbers by about 25% to more than 53,000. In other words, using live video is a new approach to how you engage and reach your audience. With social media, it is easier than ever for brands to interact with their audience, and not using the tools that are at hand is a huge opportunity gone to waste. An account takeover is when takes over your social media account. Of course, it can be the opposite as well, but for brands, the first option is usually more beneficial. Normally, account takeovers are done by social media influencers that already have a large following. And pay close attention now, because a successful takeover on your social account can lead to a huge upswing, and gaining immediate traction. When a social media takeover takes place, the influencer (it is normally an influencer) starts posting photos, interacting with people who comments on your post, and sometimes even broadcast a live video. For Instagram in particular, Stories is a highly popular tool for account takeovers because it allows the person who has taken over to share a story throughout the ay without cluttering your feed. Well, there are many. Where should I begin? If the influencer has fans that looks up to them, many people will of course follow their words, thus leading to you getting a ton of new followers, interactions, and most importantly: more people becoming aware of your brand. For an account takeover to work well, the influencer should have people who look up to them and want to follow their every move and chat with them whenever they can. If this isn’t the case, the influencer will have a hard time getting people to come to your page and join in on the fun. However, it’s important to know that a social media account takeover don’t necessarily only have to be done by influencers. They can also be done by people in your team, or someone who is interesting in your industry. This will allow for new perspectives, and give your audience unique new content every time. 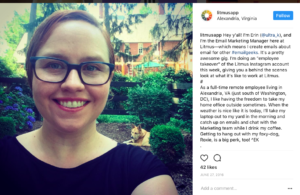 Here, Erin, the person taking over Litmus app’s Instagram account presents herself to get people to know her. Account takeovers are in that sense very effective to reaching new audiences and making your brand more human, but in a not so common way. At least if you compare it to the other methods. What types of images best reflect your brand? Should social media takeovers leave some things out? What should be featured by the person taking over? Which hashtags should be included? A contribution contest can be set up in two different ways. But before I go into those, and explain the benefits of running a contribution contest, let me first explain what it is. Feature the best photo on your page and reward those that share. A contribution contest is in its purest form a contest or challenge, where you encourage your audience to contribute to your social media community, to either get the chance to win something, or to get a reward. The foundation to most campaigns on social media is to get your audience more engaged in your brand, build a better relationship with them, increase their trust in you, and ultimately convert them into customers. Contribution contests are no different, and really, it’s not strange when you think about it, because once you’ve gotten someone to know about your brand, those are the steps to converting them into customers. Social media campaigns are the fuel to a successful social media presence and successful marketing efforts. By using both short- and long-term campaigns, you can ensure constant growth and exposure. It’s not enough to share a few posts and wait for success. Now, you have to actively set up smart, unique and fun campaigns that get people engaged.